There are countless benefits that you can gain by regularly improving your home. These efforts will keep your property on par with the current market standards while helping you build massive amounts of sweat equity. They will also give you the opportunity to restore historical features that contribute to the aesthetic appeal and overall value of your abode. This is especially true when you invest in the sash windows that the Wandsworth branch of Mortice and Green produce and provide. These window designs have been around for centuries and they have only evolved and improved over time. At their inception, they only moved horizontally and lacked the weighted, counter-balancing systems that are currently in use today. They have seen many wonderful incarnations and the top installers can help you choose a style that’s perfect for complementing your historic home and that’s right for your budget. 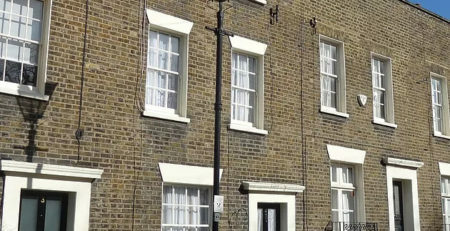 If you currently own a historic home and want to restore the existing features, you simply need to invest in sash window repairs in London. A seasoned company can inspect the damages on the actual window structures and around them. This entity can then devise a plan for repairs along with a coordinating repair estimate. Not only will this improve the look and functionality of your windows, but it can also be very advantageous to the surrounding structural elements. The top professionals in this industry are willing to attempt all forms of repairs and they have the skills, tools and equipment for addressing even the most severe forms of damage. They specialize in treating windows in historic homes that have sustained a lot of wear and tear as the result of insufficient maintenance and exposure to the elements. Working with these entities is a great way to retain more of the features that are authentic to the original building design. Your provider can even restore and preserve all of the original hardware for your project. This is ideal if much of the existing wood is badly damaged and needs to be replaced. Whenever total replacements are implemented, you will have the option of retaining the original style or of incorporating some of the more advanced features that have been used in more recent years. This is an excellent way to increase insulation and efficiency. Companies like these maintain their own private workshops that allow them to perform all jobs in-house, rather than outsourcing various aspects of these endeavors to outside companies. This ensures superior workmanship from start to finish. It also eliminates the potential for frustrating project delays. This is among one of the top reasons why local consumers prefer working with London-based businesses. When investing in structures like these for the very first-time, it is absolutely essential to consider the many cost-benefits and other advantages they supply. 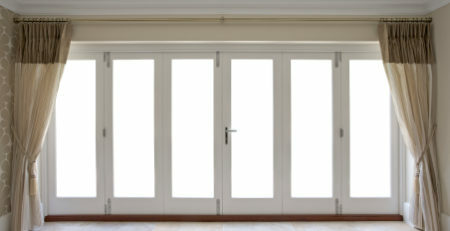 Wooden window structures provide some of the best insulation available. This can lead to short-term savings in the form of lower energy costs. When accounting for the long-term gains in increased property values, it is easy to see how investments like these pay for themselves. Products like these are also idea for those who are concerned with their environmental impact. This is especially true if your second choice happens to be PVCu designs. These products do not last nearly as long. Moreover, despite the manner in which they’re marketed, they do indeed require regular upkeep and maintenance. Sash windows need to be stained or painted on a routine basis in order to prevent moisture-related problems like warping. PVCu windows are just as labor intensive to keep up. More importantly, these options are not possible to repair once they have become damaged. As such, you will need to replace them whenever serious problems arise. This makes them a far less cost-effective investment. Wooden windows can last a lifetime and beyond. There are actually properties in London that still have their original sash windows from 300 years ago. This is the result of diligent maintenance and preservation, however, it is also a testament to the fine craftsmanship that was employed and the benefits of using superior materials. Vinyl and PVCu designs are unlikely to last more than just 30 short years. Thus, even though these options might cost a bit less upfront, they will invariably result in more spending over time especially given that most problems with these designs will until warrant a full replacement of these structures.